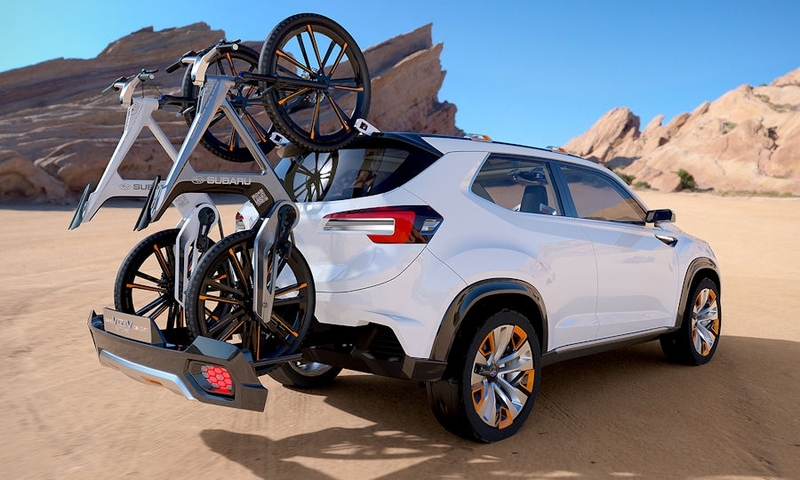 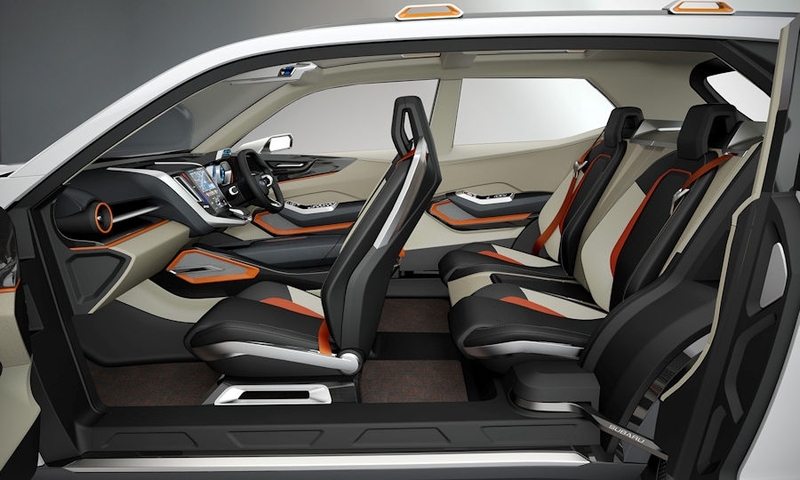 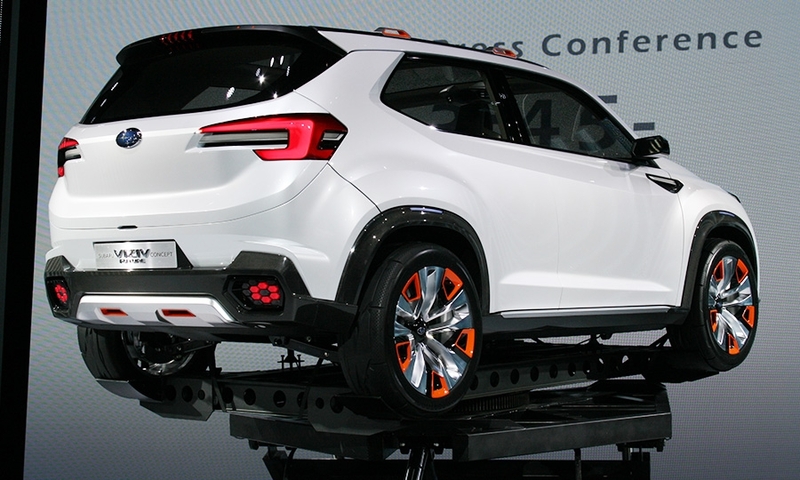 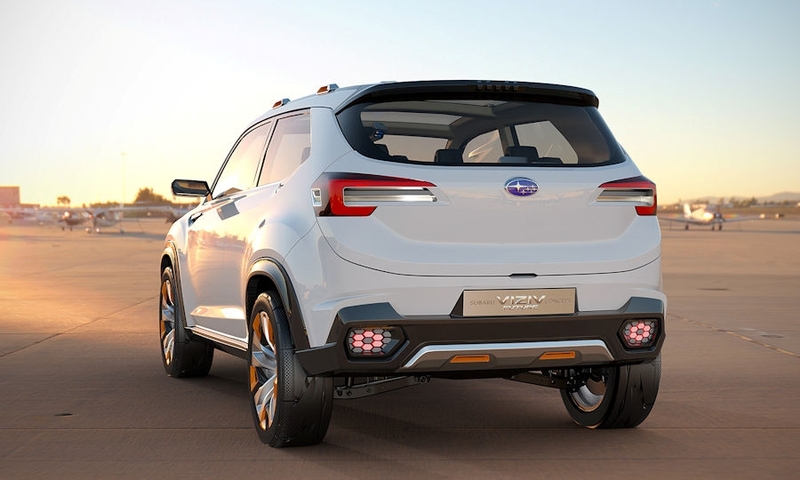 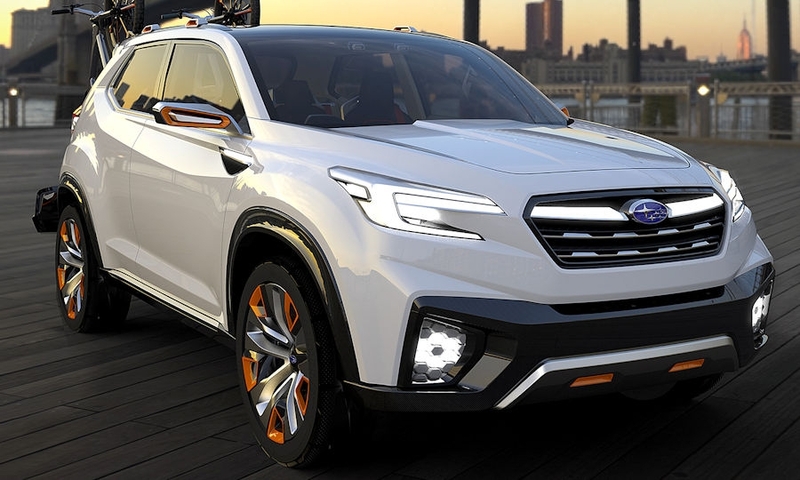 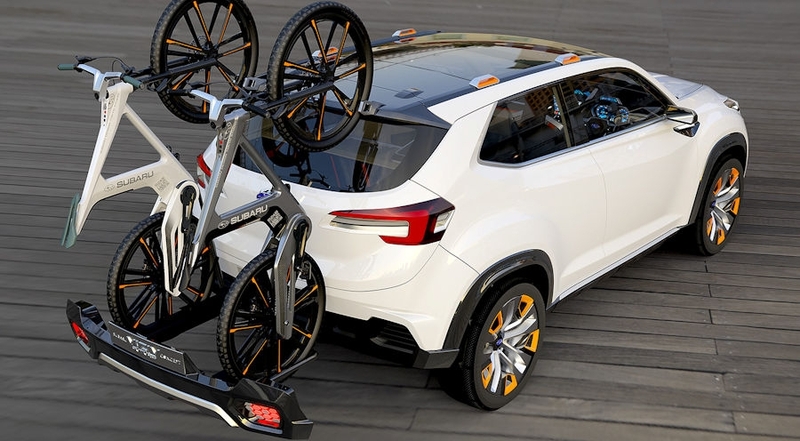 On the outside, the Viziv is a stout and sporty compact SUV. 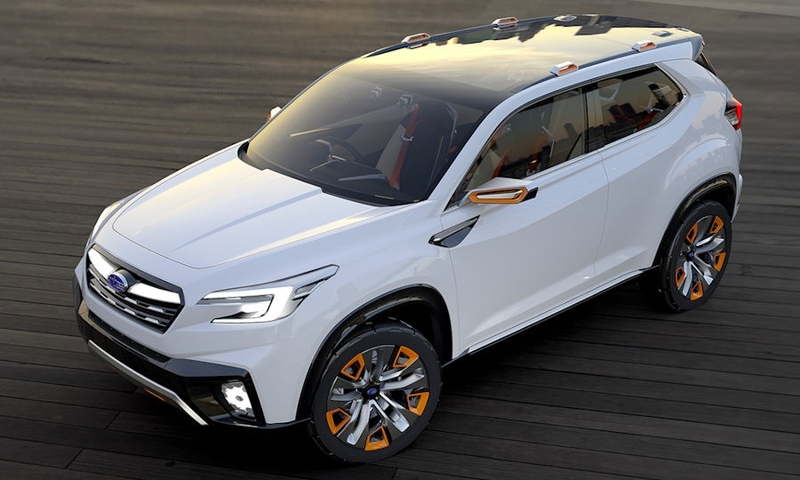 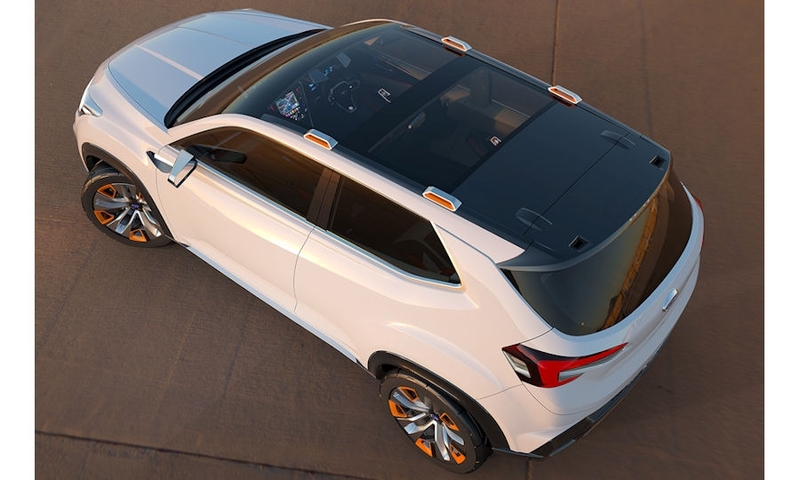 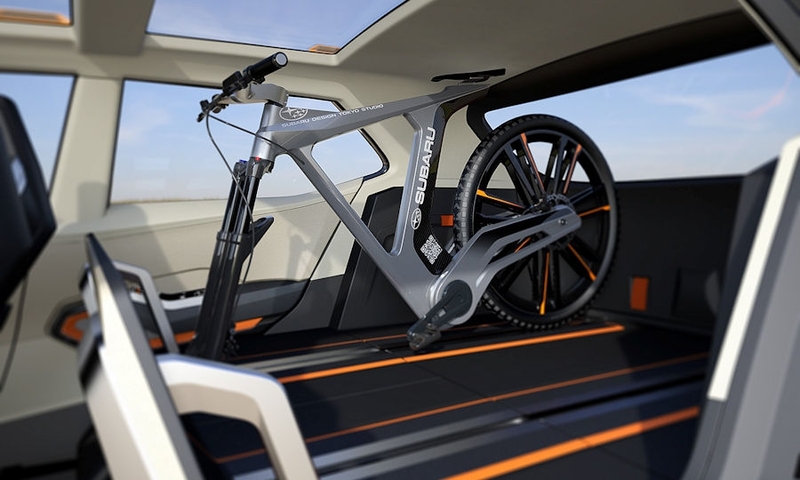 With clean, linear creasing and distinctive beveled shoulder paneling under the side window, the white concept cuts an active go-anywhere aura with its safety-orange accents and black wheel arch moldings. 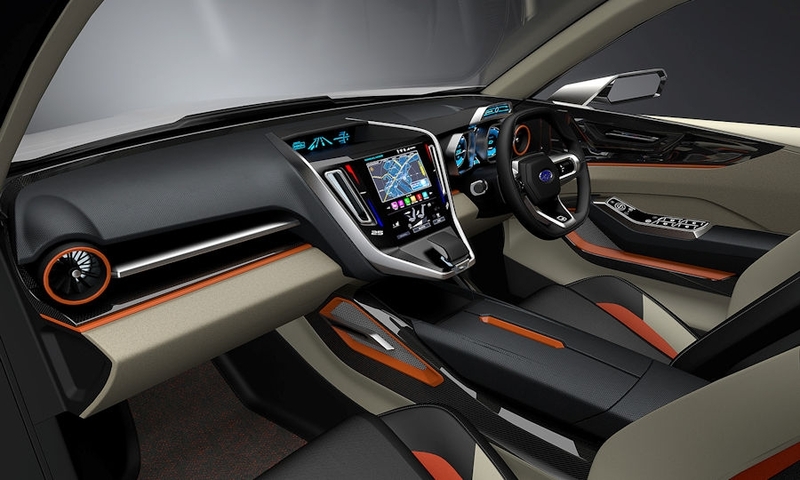 Inspiring accents include a massive panorama glass roof and suicide doors. 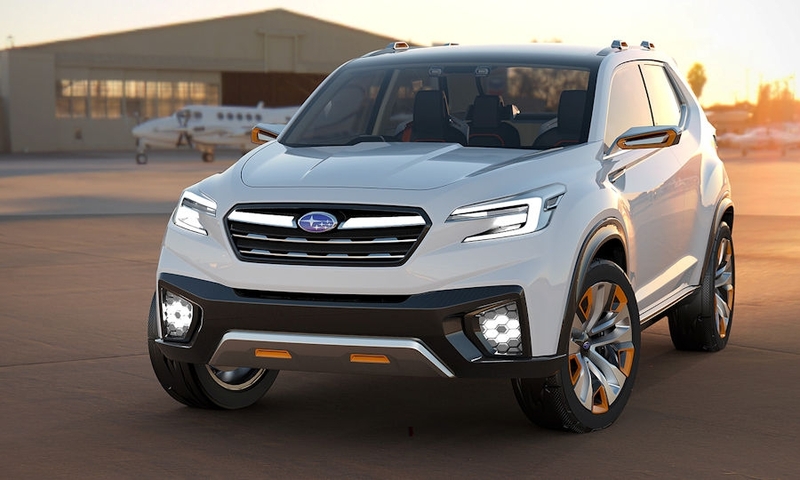 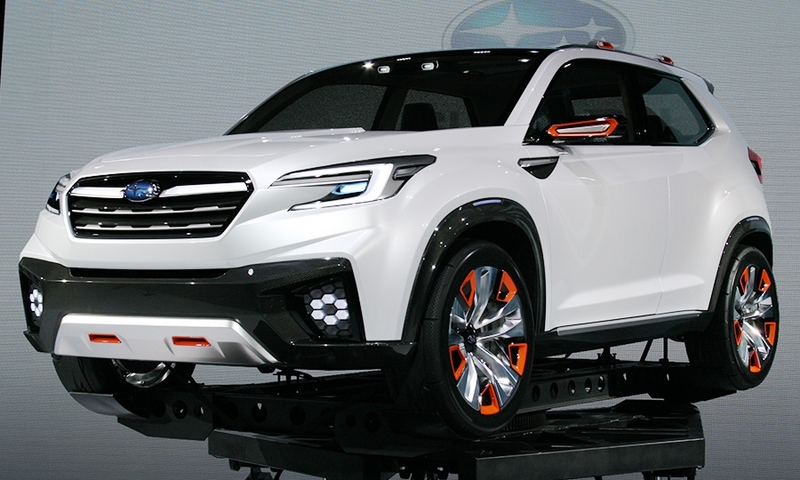 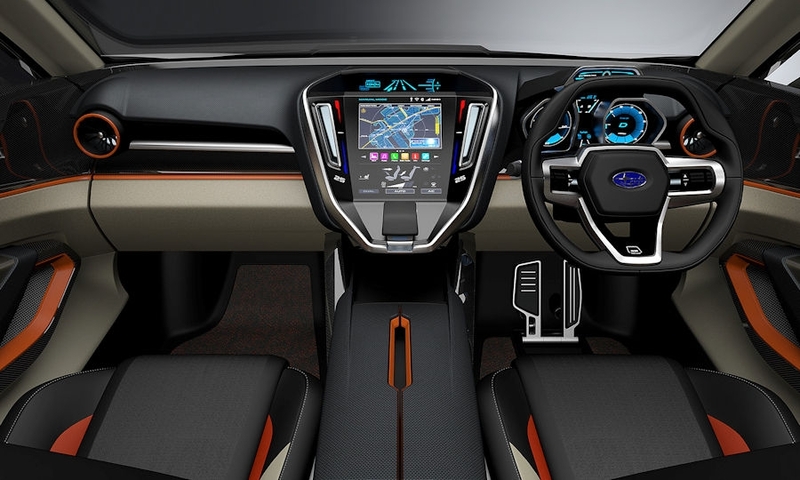 Under the hood, Subaru envisions a direct-injection downsized turbocharged engine mated to an electric motor hybrid system.